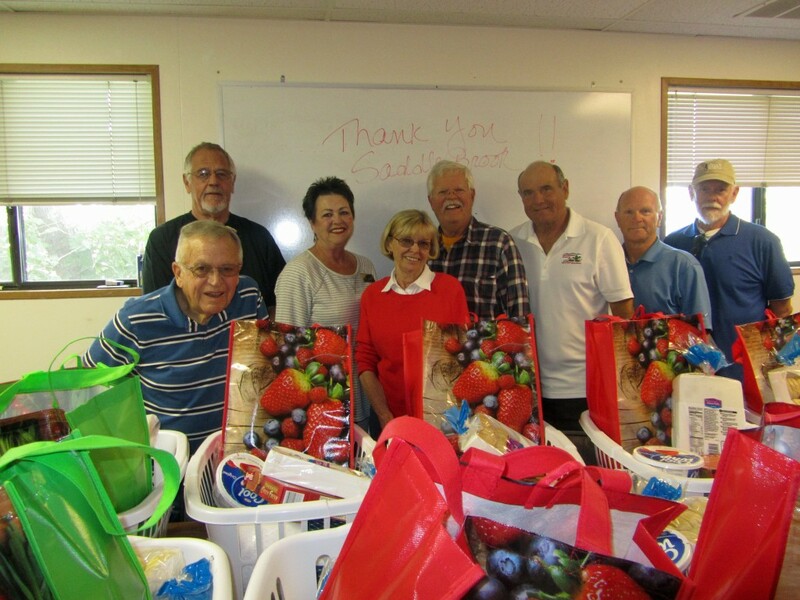 The holidays were off to a festive beginning when a group of volunteers from SaddleBrooke Community Outreach traveled to Oracle to deliver 36 Thanksgiving Food Baskets to needy neighbors in the tri-community area. Each basket was filled with all the traditional Thanksgiving items including a large turkey and all the trimmings. In addition to these baskets, SBCO supports the Holiday Food Basket Program of the Tri-Community Food Bank with food and cash donations. This year’s efforts were supported again by the generosity of the Walmart Neighborhood Market and by donations from the community. If you would like to learn more about the food related programs sponsored by SBCO or if you would like to participate in any of our upcoming events, please contact Joan or Rich Roberts, 825-7577. Watch for the annual SBCO Food Drive, coming on March 19, 2016. “It is a heartwarming feeling to know our community is making a difference in the lives of many of those in need” reported the Roberts.